The rooms were so clean. And all things we needed to cook were in the kitchen. Each bedroom had an aircondicionar. Location, bed was comfortable, garden pleasant, friendly staff. The cottage was very nice - kitchen with dinning area, two rooms, bathroom - very clean and cozy. The host was very friendly and helpful - she helped us arrange a tour to Coiba Island. There is a number of good restaurants nearby. The one-bedroom unit at Casa Maya was exceptional. It was cozy, clean, bright and had an AC to help create the perfect temperature. Furthermore, it was located a short (and beautiful!) 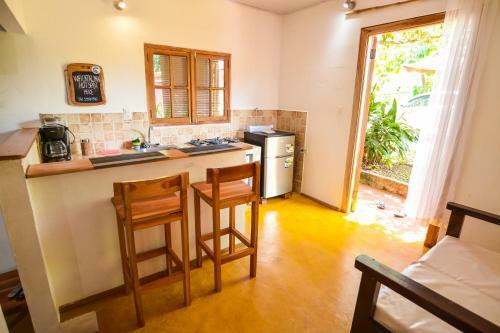 walk away to the surf point and in between two beaches (Playa Santa Catalina and Playa Estero). We loved our cute little house at Casa Maya! 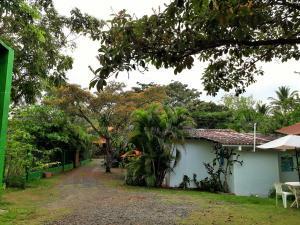 Super clean, well-appointed, well-located within Santa Catalina and the hosts were just wonderful. They also run Jammin Pizzeria which serves delicious thin crust pizza! They organized a babysitter for us too. Excellent stay. Accommodations were in a "little house".....nice to have room. 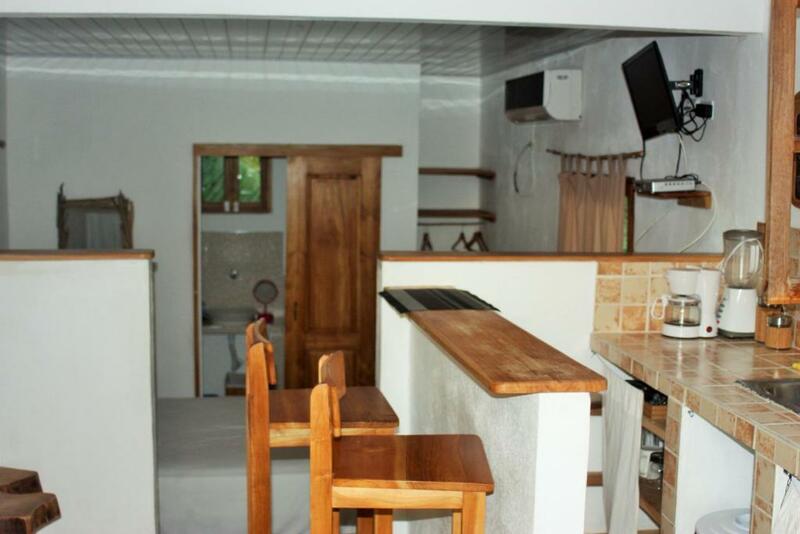 Comfortable bed, approximately 10 minute walk to town. Host was incredibly nice and gave us a ride to shuttle stop on the way out. Paola the owner is very gracious. We loved the quaint location, near beach and private. Very comfortable accommodations. Friendly, walking distance to beach and village. Clean and well presented -excellent overall. Paola is the best host one could hope for; every request was granted immediately and with a smile. Lock in a great price for Casa Maya – rated 9.2 by recent guests! 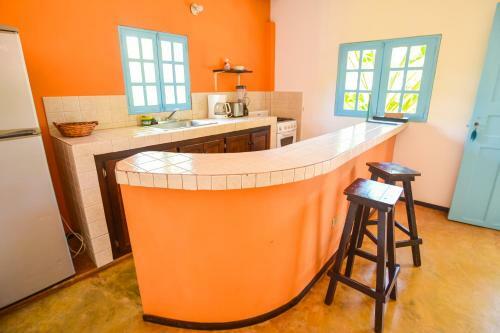 Casa Maya, located at a walking distance from Santa Catalina and a 5-minute walk from town beach, 20-minute walk from the Estero beach, Casa Maya features a garden, terrace and the new WIFICATALINA HOT SPOT ZONE. High speed internet at a very low cost. The apartment and houses offer tropical-style décor, air conditioning, living area and satelital TV. 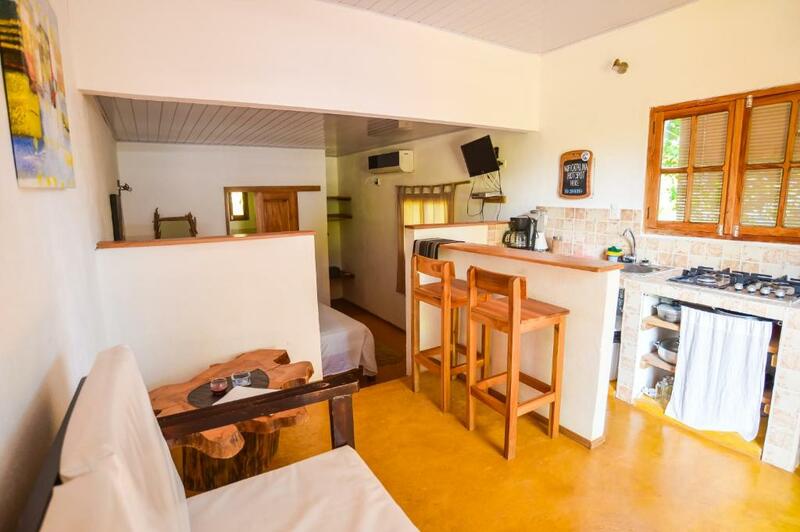 All come with an equipped kitchen with fridge, air conditioning in the bedrooms, coffee maker and stove; while the bathrooms present shower. Guests can enjoy the on-site Jamming Pizzeria. Seafood options can be reached within a short 1-minute walk, and other restaurants are located within 10 minutes’ walk. Activites such as diving, surfing and fishing can be arranged. Casa Maya is 3-minute walk from the main surf point break. When would you like to stay at Casa Maya? This spacious house offers tropical-style décor, air conditioning, living area and cable TV. It comes with an equipped kitchen. This house offers tropical-style décor, air conditioning, living area and cable TV. It comes with an equipped kitchen. This apartment offers tropical-style décor, air conditioning, living area and cable TV. It comes with an equipped kitchen. Ideal para familias y pequeños grupos de amigos. Entorno tranquilo, seguro y verde. Fácil acceso al surf point y a unos minutos caminando de los centro de buceo y restaurantes. El agua es potable . Por razones de alto costo y variabilidad del internet por lo general en todo el pueblo Santa Catalina, el Wifi es gratis para revisar correo, redes sociales.. con un pequeño costo extra para descargas o trabajos mas pesados. Aceptamos tarjetas de crédito Visa y MasterCard. ATM, estación de gasolina ,farmacia mas cercanos en Soná a una hora de carro de Santa Catalina. El negocio es familiar..somos yo, mi esposo Omar , nuestros 3 niño y Bruno, el perro. El hobby principal es obviamente el surf y Maya la mas grande de 11 años está practicando mucho divirtiéndose con sus amigas. Omarcito, el mas chiquito de 5 años, se dedica también a la pesca :) y a Anabel de 8 años le encanta bucear con mascara y chapaletas acompañada por el papá. Nos gusta manear bicicleta y remar con los kayaks; realmente los niños aquí disfrutan de una vida sana y nunca están aburridos!!! 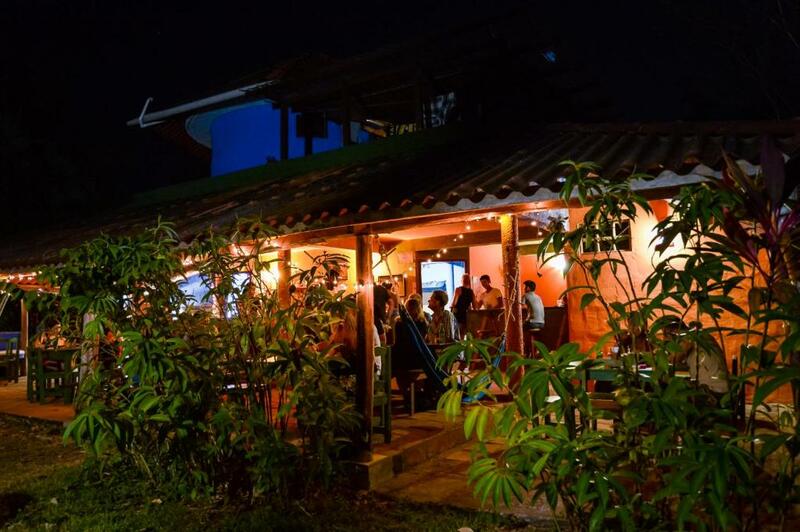 Casa Maya está ubicado en un barrio muy tranquilo, cerca del principal surf point , de los mejores restaurantes de pescado, ceviche y pizza y de una graciosa heladería con ricos helados artesanales. La zona es muy segura para los niños. House Rules Casa Maya takes special requests – add in the next step! Casa Maya accepts these cards and reserves the right to temporarily hold an amount prior to arrival. It would be nice if the kitchen window would have a curtain. 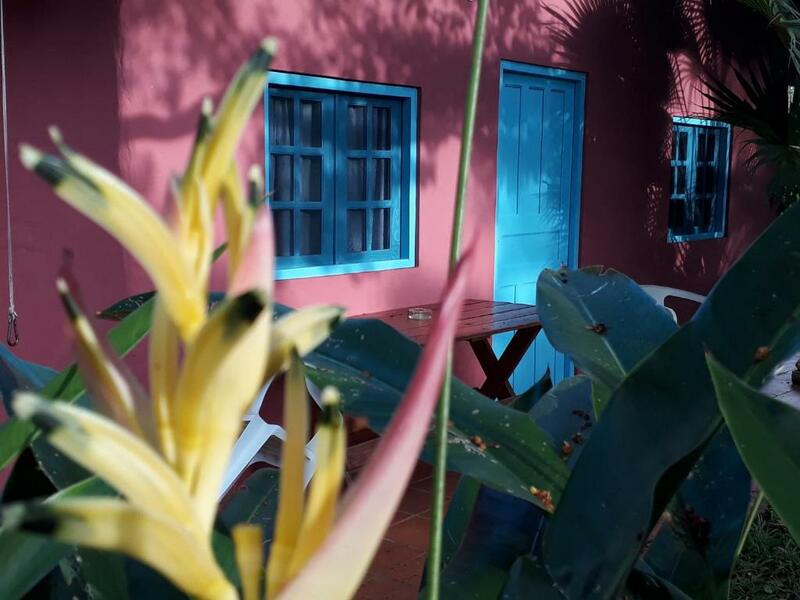 Though the breakfast was not included, Paola, the owner, sorted it out for us quickly and painlessly - it was within a short 2 minute walk at Jammin hostel. Casa Maya has a kitchen with all necessary utensils, cutlery and a small fridge. A nice area in the front of your doors where to sit and relax with a glass of wine in the evenings. It is convenient to hand-wash your clothes as you can dry them outside on the line. A must do in Santa Catalina is snorkelling tour (one of the best in the world) on the way to Coiba island, we'd recommend 'Watching Dolphin' in the town. Location was very convenient, fun to walk around. Maybe revise estimates of time to cover distances from bus drop-off point in the centre of Santa Catalina and to beaches. Although these obviously depend on the individual, we're fairly fit and found the given times to be a little short. Not an issue when strolling to the beach, but more of one when arriving after a long trip and with a heavy rucksack on your back! The cleanliness, the space, the ability to prepare food, and the tranquillity. Our hosts were extremely friendly and made our stay as comfortable as possible. 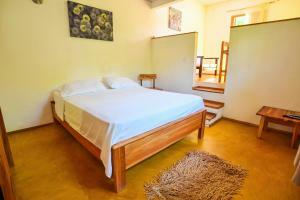 When compared to other accommodation for a similar price, Casa Maya represents excellent value. Lots of bugs, no fly net on kitchen window, spiders. Omnipresent smell of soap outside, tiny toillet, the water in the shower was either cold or hot but it was not possible to have anything in between, no free wi-fi, unpaved road to the hotel - you're covered with dust any time a car passes by when you're walking. No noise insulation between the apartments situated in the same bungalow and little distance between bungalows. As some neighbours were noisy either in the evening (drinking and singing) and others early morning (with young kids), it was difficult to rest. Terrace in front of the apartment, equipped kitchen. Not enough pillows and they are very thin, but I took my own so that was not an issue. Parking can get tight if the other houses are full, but manageable. Can be a bit of a walk (~1km) to central part of village, but we had a car so not a big deal, plus there is the pizza place and ice cream shop right next door. Shower was a bit tricky to find the temperature (water was actually too hot) and needs a soap holder inside. All very minimal issues that did not affect the overall quality of our stay. You have to take into consideration that you are in a tiny village in the middle of nowhere. That said, the place is great! Really clean overall, comfortable beds and great air conditioning. The host is friendly and gave us all the support needed. Right next door is a really good pizza place with a brick oven. Exceeded my expectations given the general location it is in. Would definitely stay again. View from the bedroom. The helpfulness and recommendations from the owner. The pizza and and the ice-cream. Thank you our family had an excellent week. Casa Maya is a lovely place. The house is perfect for a family. 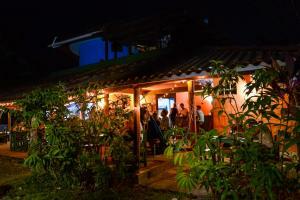 It is walking distance to the village and very close to the surfing spot. Paula was super nice, helpful and we had an easy communication. We stayed three days but could have easily stayed linger. The Pizzeria and the ice cream shop next door and great. We will definitely be back. The Internet didn't work well to keep up with online communications, or lessons. 😢 So be prepared to be without it. The house is colourful and the interior was well designed. The Italian woman who owns the three small houses in the garden is very friendly. She also runs the nice open air pizzeria Jammin nearby. We felt very much at home in our little blue house. Everything we needed was there and more. The center of Catalina is a 10 minute walk. The village has it's own beach, with a nice Italian reataurant on the seafront and several nice coffeeplaces, like for example La Buena Vida with beautiful artwork and Italian Cappuccino. The wild and natural Estero beach was the best for beginner surfers like us. It is a 20-25 minute walk from the house. We found the atmosphere in Santa Catalina so relaxing , and the area so beautiful, that we decided to return there later during our trip. Not easiest place to locate. Simple clean rooms. Bonus to have air conditioning. Two rooms perfect for a family. Pizza restaurant really good onsite. Good location. Amazing owner. Allowed my family to arrive 3 days early and change dates when I booked the wrong dates for our arrival.